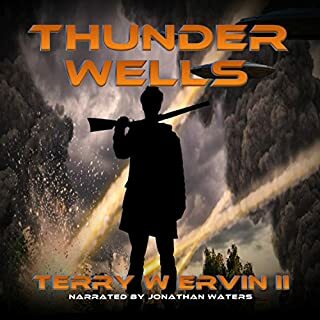 Jack Fairbanks made it through the initial wave of attacks, but now the Mawks have seeded the Earth with dozers and crawlers, tracking beasts that crave human flesh and are bent on hunting the remnants of humankind to extinction. Joined by Lucia, a hardened urban survivor, Jack finds himself caught up in a secret plan to turn the course of the invasion. Can a college sophomore and a ragtag force of soldiers survive when the Mawks descend from orbit and begin their final assault? Family drama is bad enough without adding magic and human sacrifice. Ten years ago, Paxton Locke's mother killed his father in a mysterious ritual that - thankfully - went incomplete. Now, Paxton makes his living as a roving paranormal investigator, banishing spirits while Mother languishes in jail. When a terrified ghost warns him of a dangerous, newly freed entity, Paxton faces a fight far beyond simple exorcism. In a battle for his very soul, will he be able to endure - or simply fade away? When you tell someone their mother is a witch, those are usually fighting words. In Paxton Locke’s case, the words are true and she lives up to her moniker. Paxton mother is now in prison and he’s determined to keep her there, but she has an awfully long reach. Author Daniel Humphreys combines familial angst and paranormal to create an engaging story unique in its telling. J. Scott Bennett has fully voiced this nearly 7-hour audiobook and does a fantastic job. His narrating style is expressive and a perfect match for this genre. 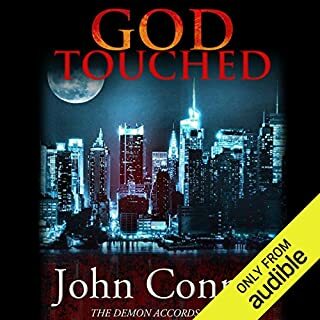 I really enjoyed this entertaining audiobook that tells the story of a ghost hunter with a really evil, psychotic mother. You can not help but become attached to Paxton, he is a flawed, reluctant hero who eliminates ghost from the world and has a past that would leave mental scars the size of the Grand Canyon on anyone. This book has action, ghosts, witches, suspense, magic, interesting twists and evil abound. Scott Bennett did an excellent job of the narration. He gave the characters individual voices, brought the tension and creepiness out and moved the story forward at just the right pace. This book easily draws you in and keeps you entertained right to the end. I must admit this book turned out quite different from what I expected. From the summary I was expecting it to be more ghost focused, and while there were definitely ghosts involved, it was more magic centric. That being said, it was still quite an interesting tale. I don't want to put in any spoilers, but Paxton, the protagonist, has had quite a rough life and one heck of a twisted family situation, and in a way I am mad at the author for how he only teases us with Paxton's mother. That being said, he must be doing something right because I want to know what happens next. The book is narrated by J. Scott Bennett, who once again does an excellent job and he is quickly becoming a favorite of mine. He has a unique voice with a smooth relaxed delivery. Okay so, about halfway through this, I was thinking I was going to give a good, solid, 4 star rating. It flows really well, the story plot is wonderful, and I love the cast of characters. But it just kept getting more and more fleshed out, more of the past being revealed a little at a time, but without seeming like it was just teasing or being done to create tension. It was really well done! I loved Paxton’s little references and snarkisms sprinkled throughout, it really made him more real and likeable to me. The little details put in to help the story along were fabulous, too. What I’m trying to say is that this is a great book lol. And it gets better, too! I’m so used to books ending right in the middle of a story these days, that every time a chapter ended, I had to hold my breath and hope it wasn’t over. And I was NOT disappointed. You get the whole of this story, while it still ends with a continuation. But, if for some reason you chose not to continue on in the series (not me, I’m totally sticking with it! ), you wouldn’t be left wanting. The narrator was a perfect fit as well. Great tone and pace, he really made the snarky comments sound good! His voice was pleasant while still able to create tension when it was needed, and sounded shocked when that was called for. Great voice casting! Five Platypires here, too. I was provided this audiobook at no charge by the author, publisher and/or narrator in exchange for an unbiased review. 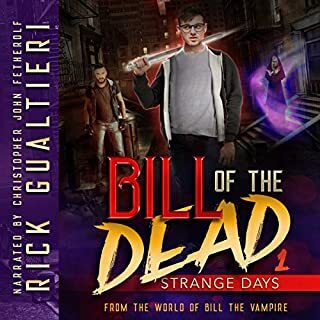 I enjoyed this audiobook that reminded me of the current TV Shows my husband likes to watch like Ash vs Evil Dead. This audiobook was full of humor, suspense and mystery. I love J. Scott Bennett as a narrator because he is very excellent at bringing any story or characters to life. If you like or love paranormal stories, this is a good one for you. I thoroughly enjoyed this fist story about Paxton Locke. Good vs Evil, ghosts, paranormal activity, an ancient entity, ... my interest was peaked. While the story did not end with a cliffhanger, it certainly set the stage for the story to continue. I for one, am looking forward to the next book! J. Scott Bennett did a wonderful job with the narration. I will definitely be listening to more of his performances. So, this book started a bit off, for me, as the interactions with the main character's mother were... odd and I felt like there wasn't enough context to understand the situation. Turns out I just needed to be more patient because the author actually did pretty good job of putting things into perspective. In other words, give it a chance. I thought the narrator was great and I really enjoyed this book. I'd definitely bo open to book 2. The narration is good, the phrasing, pacing and tone are all good. The characters voices are well done, but for me, some of the accents didn't quite come through. I loved the premise of the story, so interesting. I haven't read anything else like this book. There was nothing predictable about it and there were often new elements being introduced that added a realistic complexity to the story. The characters are really well developed. The story is quite serious in parts and deals with the corruption that can come with power and also elements of morality but this is balanced with humor. I look forward to seeing how this series progresses. I enjoyed learning about the characters. The narrator once again did a wonderful job. 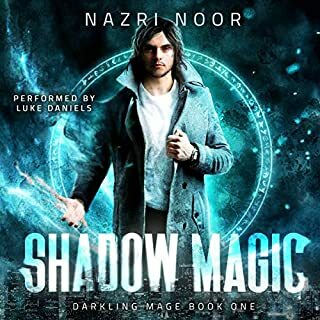 I received this audiobook for free from Audiobook Boom for my unbiased review. .You really can't choose your family. One of the most entertaining mystery thrillers that I have listened to recently: not great literature, perhaps, but well conceived, written and brilliantly narrated. The action might not seem fast initially but there is so much packed into it with a great cast of superbly crafter characters . 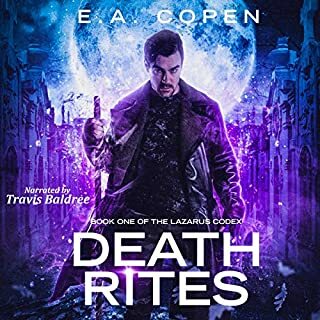 Plenty of Magic and mayhem, with some rather unusual communication with ghosts methods. .
J.Scott Bennett, narration,as always, is superb. So much of the book is dialogue and, with a large cast of disperate characters it was easy to forget this was a reading and not a full cast performance, so skillfully was each person voiced. The text in between was read with perfectly paced speed and emotion to fit the context, always calm but gauging the feeling exactly. This is a narrator to look out for again in the future. 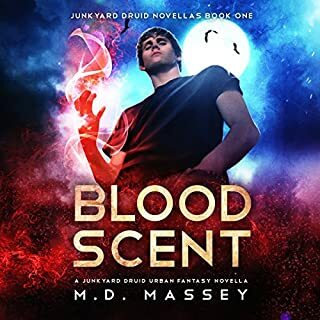 All in all a great listen !I was voluntarily provided this free review copy audiobook by the author, narrator, or publisher.I received this title for free in exchange for an unbiased review.As always this is my honest opinion.a big thumbs up from me. "What's big and bad enough to scare a ghost?" Paxton Locke can speak to ghosts. He's not an exorcist; he just talks to them and tells them like it is. And they go away. Not always comfortable but straightforward. Then the ghost of a boy who goes unexpectedly peacefully suddenly my terrifies him. Paxton is alone in the world, no family unless his murderous mother held in prison counts. Paxton would have prefered that she'd received the death penalty. He does have a handful of good friends he rarely sees but, basically he prefers to stay out of the limelight. He still recalls the vicious killing of his father some years before when he was still a boy and which he had been too late to prevent and he, himself, so nearly died. Although humour is inherent in the text, Paxton is not the usual slick talking, paranormal detective. Instead he is more introspective. 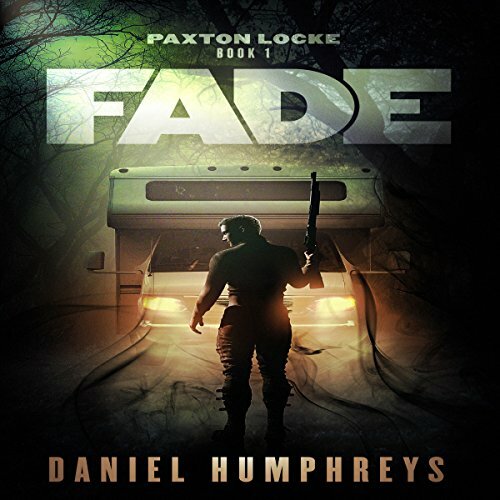 Well written with vibrant visual effect, good characterisation and dialogue, and full of action, the story is told mostly in the first person present so the reader is there with Paxton throughout his experiences. And silken voiced Scott Bennett is the ghost despatching young man perfectly capturing his thoughts and terrors, never over acting and giving voice clearly to all other protagonists. This is a great listen Despite the weirdness of so much of the action, it still feels real somehow, the impossible made plausible. My thanks to the rights holder for freely gifting me my copy of this excellent book, via Audiobook Boom. It is one I'd recommend to anyone for a light, enjoyable read, even to those who would normally avoid the paranormal so nicely is it written and performed. I greatly look forward to more in this series.